Decline in fertility rate is alarming and it affects about 15.0 % of couples trying to conceive. Globally, 5.0-7.0% of the general male population is affected by infertility and the trend may increase in future. Diabetes mellitus, a state of chronic hyperglycemia, is found to be an effective cause associated with male infertility. Since both type I and type II diabetes influences male infertility, we aimed to identify the genetic link underlying diabetic male infertility. 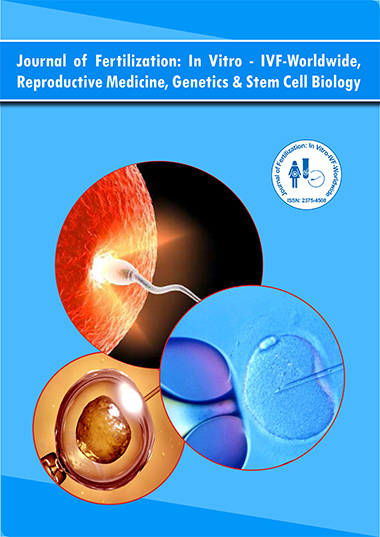 Y chromosome microdeletions were screened in 12 Type I & Type II diabetic infertile male patients of varying seminogram profile by employing Triplex (sY84, sY99 and sY156) and individual (sY86, sY100, sY134 and sY254) PCR. sY156 STS marker of AZFc region was invariably deleted in 5 diabetic infertile men in addition to sY86, sY100, sY134 STS markers. No functional gene has been assigned for the 923bp DNA fragment encoded by the sY156 STS marker. Rather, it belongs to a processed pseudogene TRIM60P8Y. Frequent deletion of sY156 marker in AZFc region in diabetic infertile men is unclear. The result showed can be further substantiated with more number of samples.